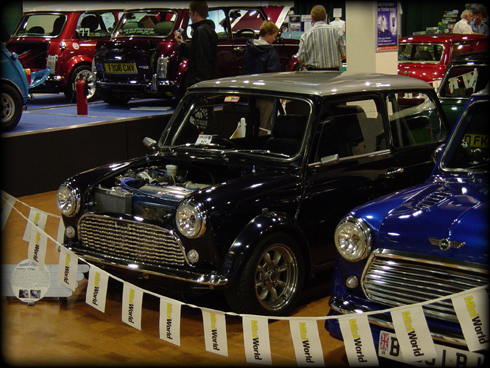 Steven Titherly's mini is the first standard length front, right hand drive, Honda VTEC powered mini in the world! What's more is that it's a sleeper, looking like a smartened and tweaked standard Rover Sportspack mini, but with 162bhp under a removable carbon-fibre front end it certainly doesn't go like one! 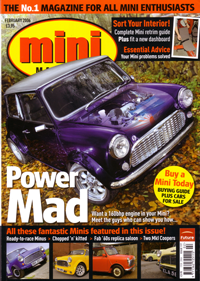 NEWS - Steves VTEC mini has made the cover on Mini Mag!!! Feb 2006 issue. Go and buy it now! Full 8 page feature with lots of pics and an interview with the builders - Steve and Toby. SEE THE ARTICLE HERE, NOW!